Manage all your accounts with Checkbook HD and stay always aware of how much money is left on each of your accounts, and how it happened. Add entries that change balances on your accounts manually, or import your banking records by using your bank's OFX file. You can also schedule recurring transactions, sync your data between several devices, schedule delayed transactions and clear them later on (reconcile). 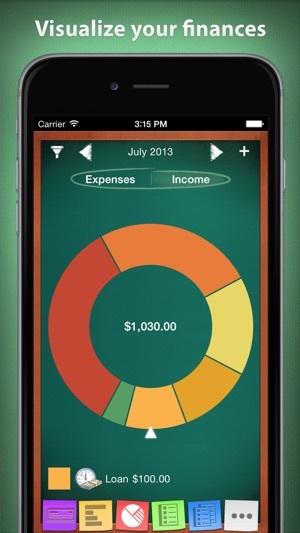 To visualize the activity of your accounts, use colorful charts. - Additional fields for organizing your records including description, payee, check #, etc. - Regulated custom frequency (daily, weekly, bi-weekly, monthly and any other frequency customization). I downloaded this app when I had the original free app but it limited the number of transactions. Then I paid for this version for about $3. Been using it close to 10 years probably. It was great up until very recently. I noticed that when I got my new phone and had to download the latest version, and make sure it was backed up with iCloud, the new version was very buggy. When I enter my passcode it starts scrolling through the data and is very annoying. Then there’s the large banner ad at the bottom that obscures part of my accounts. Constantly having to close this ad every time I open the app is VERY annoying! 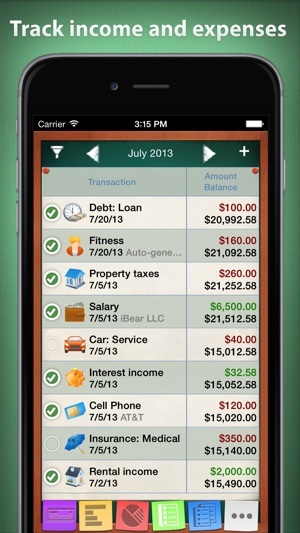 I rely on this app to keep track of my checking account for multiple credit unions and for multiple savings accounts. It’s very helpful for keeping me organized. Please fix it. I don’t need MoneyPro. 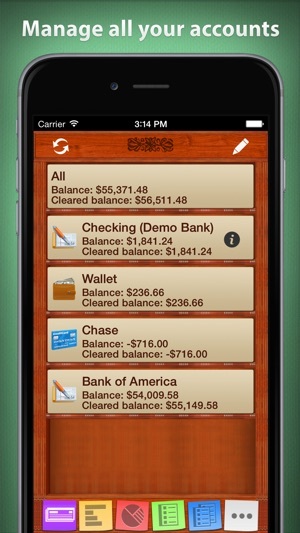 Just liked the simplicity of this app for tracking my deposits, withdrawals and transfers between accounts. I’d consider paying for this app again, if it means the developer will fix it. Sometimes it’s crashing now as well. This app is something I use everyday, several times per day. This app hasn’t been upgraded now for seven months. That’s ridiculous. Do you even support it anymore? People have asked for fingerprint sign on for example(crickets from your end). 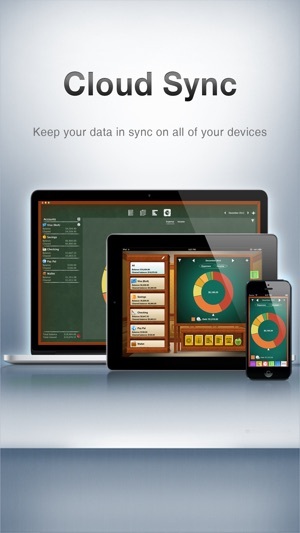 Now my iPad is no longer synching with iCloud. I’ve opened a contact with support. Am I only going to hear crickets on that too? Seems like you are pushing us toward this money pro or whatever it’s called. Is that why you’re not helping us now? 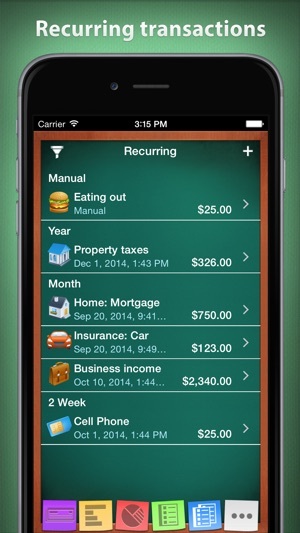 Some of us just want and need a good basic checkbook app. We don’t need a bunch of other bells and whistles. So what if ui isn’t the greatest. It was doing what I needed it to do, until now. I guarantee you I won’t move to another of your apps if this is your plan. I've used this app for years now and it's completely replaced my having to make any entries in to the checkbook register. It helps me stay completely sync' with the bank. The only thing I would really like to see is fingerprint security. I have been a quicken user on my pc for Many years, and with a move to Apple, I needed another checkbook program. I have been looking for a while, tried a couple and I think I am going to like this one. 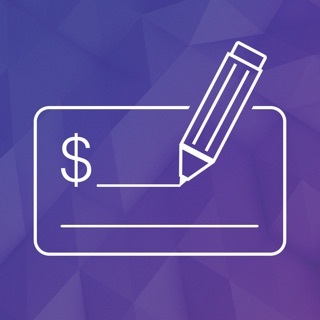 I don’t want a fancy investment or budget tracker, just an app to reconcile my checkbook.l like being able to create additional categories, reoccurring transactions and the overall look of the interface. The only thing l miss ( it’s possible it is here and I have not found it yet) is a printed reconciliation report. And I only like that as a backup, which I really don’t need, just feel more comfortable if I have it. One other minor item is being able to split categories for 1 transaction,but, again, I don’t think it’s enough of a concern to take away stars. This app is very intuitive, and there is a nice tutorial. Thanks for a great app.